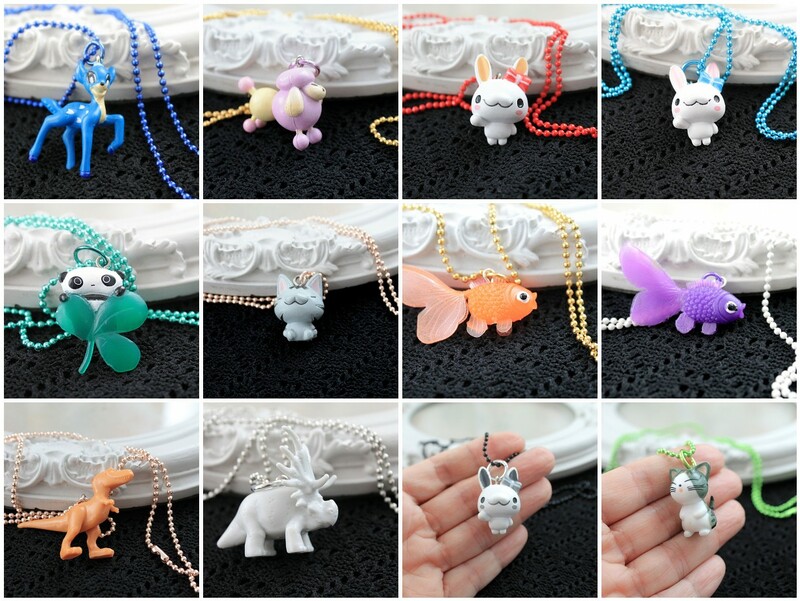 Dina Fragola: New simple kawaii necklaces. Perfect stocking filler! New simple kawaii necklaces. Perfect stocking filler! Lots of fun and affordable kawaii necklaces! They're all 10 Euros a piece and they'd make perfect stocking fillers! They are great! There are even dinos! Your necklaces are so sweet! so many cuties!!! Love them! They look so cuteeee! and I love the bunny!